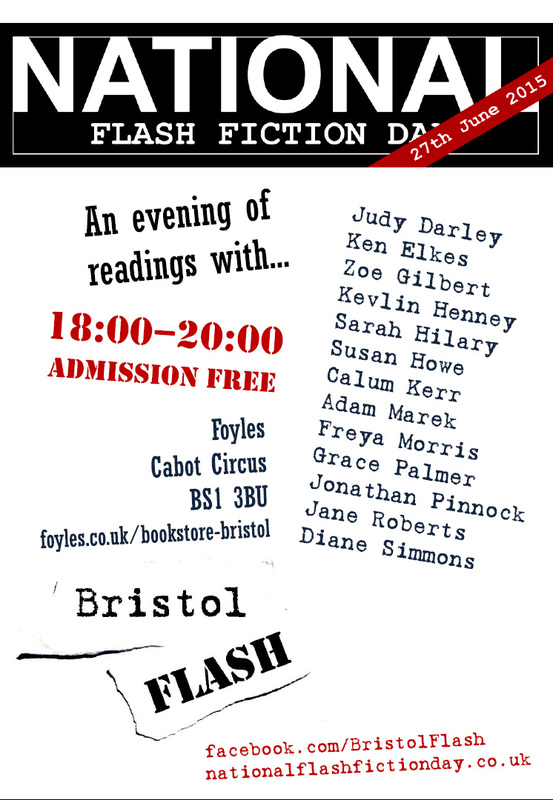 I am really looking forward to National Flash Fiction Day’s Bristol event at Foyles on Saturday 27th June, where I will be reading one or two flashes. I haven’t decided which as yet, but there’s a five minute slot for each reader and it’s up to us how we fill it. One thing I have learned from my reading aloud experiences is that you almost can’t read too slowly, so I may confine myself to one five hundred-worder. But which to choose? I have had a good couple of weeks with a short-listing (only ten writers long) in the Worcestershire Literary Festival’s flash fiction competition, a current short-listing in the annual Twisted Tales competition, and one of my favourite stories, Countdown, selected for Landmarks, the official 2015 National Flash Fiction Day anthology. I am tickled skinny and that’s a totally painless way to lose weight! Everyone is welcome at Foyles and it’s free! The coffee bar will hold its usual temptations and there will be lots of chat, both writery and otherwise. Earlier in the day there will be a free flash fiction workshop upstairs at Bristol Central Library from 13.30-16.30 with Calum Kerr, the Director of NFFD, and Ken Elkes, a prize-winning flash author. It should be fun, whether you’ve written very short fiction before or are a complete beginner to creative writing. The atmosphere will be relaxed and encouraging but you can always go along in disguise if you prefer! Have a great National Flash Fiction Day, wherever you are!